Becoming a Havasu Homeowner: How Do You Know It's the Right Time? Tired of renting? Stop paying someone else's mortgage. Build up your pride and portfolio by becoming a Havasu homeowner. But how do you know you're ready to make that leap? First of all, let's talk money. Unless you are an active military person, a veteran or are paying entirely in cash, you're going to need some money for a downpayment. Financial experts recommend putting down 20% of the purchase cost. For example, 20% of a $200,000 home purchase is $40,000. Don't have that much in your savings? First-time homebuyers (anyone who has not owned a home in the last three years) can qualify for as little as 3%-3.5% down. That helps get your foot in the door so to speak. And there are downpayment assistance programs available. But the downpayment is only one of the expenses involved in buying a home. You'll also need money for closing costs. These typically run about 2%-5% of the purchase price. Then, there are the inspection fees and homeowner's insurance. And, to be safe, you might want to set aside an emergency fund to help pay for possible repairs needed once you move in. After all, you won't be able to just pick up the phone and call the landlord to fix a leaky faucet anymore. You're the landlord now. Next, let's talk about your job situation. Jumping around from job to job is fine when you have no long-term financial responsibilities. But mortgage companies want to see a steady employment history. 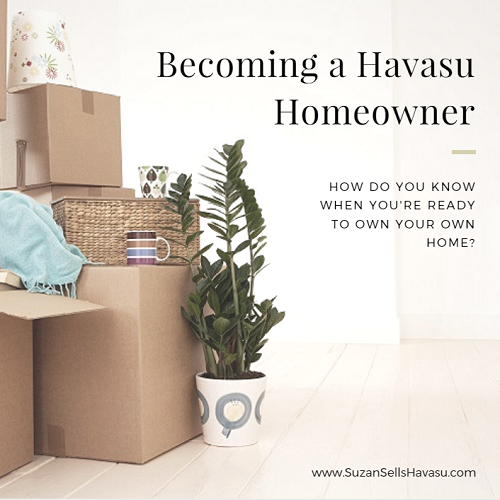 If you haven't settled down on a career yet, you might want to wait to become a Havasu homeowner. But, if you've decided that Lake Havasu City is where you want to set down roots and you have a job that can sustain that, now's the time to be a homeowner. Once you have the first two items settled, ask yourself if you're willing to take on the responsibility of homeownership. Are you OK with fixing things yourself when they break or at least calling in a pro? If your home comes with a pool, there's regular maintenance involved with that. If the thought of owning a single-family home feels a little overwhelming, perhaps consider a condo instead. With condos, you pay a monthly fee for regular upkeep of the grounds, including a pool, gym, and social gathering areas in many cases. When you do decide that you're ready to become a Havasu homeowner, utilize these first-time homebuyer tips to make the process a little easier. And when you want to start your search, contact me. 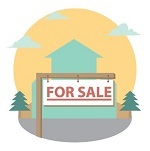 I'd love to show you what's happening in the Lake Havasu real estate market. Finally, I'd like to appeal to anyone who has ever owned a home before. If you could go back in time and give yourself some advice about becoming a Havasu homeowner, what would it be? Please share your time-traveler wisdom in the comments below so that the "newbies" looking at purchasing their first home can benefit from your experience.